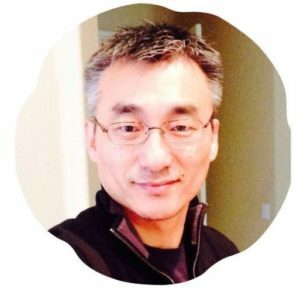 About Dr.Liu – Welcome to Eastwind Acupuncture! Professor Wei Liu graduated from Tianjin University of Traditional Chinese Medicine with a bachelor degree in acupuncture and orthopedics as well as a doctor degree in medicine. His advisor, Professor Zhang Boli, is an expert in Chinese Medicine and academician of Chinese Academy of Engineering (CAE). Dr. Liu is a formal disciple of the famous acupuncture and wellness expert, Professor Lian Yulin. Dr. Liu had been a professor of TCM at Northwestern Health Sciences University for 17 years. Dr. Liu is the founder of East Wind Acupuncture and Tuina Healing Center, with over 25 years of clinical experience. His expertise in acupuncture is well-known across the United States. In June 2016, he is appointed as the guest professor and member of the Experts Committee by China-America Acupuncture Rehabilitation Institute (ATCMA in conjunction with Wenzhou Medical University, China) and established the Dr. Liu’s Acupuncture Workshop. In April 2017, Dr. Liu is appointed as the guest professor by Guangzhou University of Chinese Medicine. Dr. Wei Liu possesses deep and profound knowledge of acupuncture that was passed down to him from his family. His acupuncture technique adheres to the ancient classical style yet innovative. He has formed his own style and created several sets of acupuncture needling techniques. Dr. Liu has been a coveted instructor from coast to coast on over 20 topics of acupuncture. His teaching style is straightforward, lively, and full of humor. His very own Liu’s Scalp acupuncture has won the most applause from his colleagues in the field since it is simple to apply, easy to learn, and clinically effective.